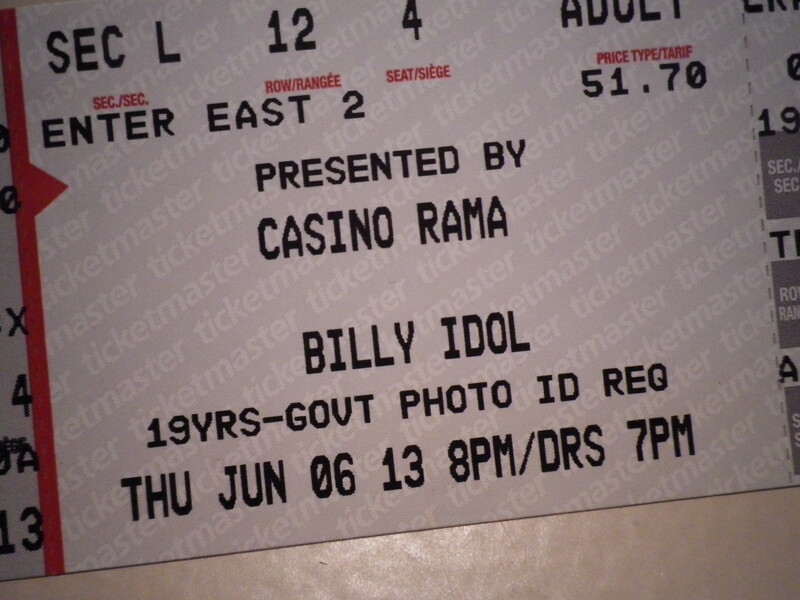 A s a surprise for my friends upcoming Birthday, I took her to Casino Rama last week to see Billy Idol in concert. This guy rocked! Seeing Billy perform was on my list of things to do in life, and since he is now 57 (and in mezmerizingly great shape I might add) I figured it’s now or never. Something other than the actual concert itself became the highlight of the entire evening for us. Although it was a fantastic show, there was a man sitting to the right of me who looked like an average 45 year old guy with probably an average job, wearing an average plaid shirt and jeans enjoying the concert like we all were; just sitting in his seat clapping and having a fun time. As soon as Billy Idol started singing Rebel Yell, and suddenly from out of nowhere, this unassuming man catapulted out of his seat tummy jiggling, arms flailing and screaming wildly at the top of his lungs in delight like a 14 year old girl. It was absolutely spectacular to see, and my friend was so startled that she fell right out of her seat into the aisle. It was such an amazing moment to see this man in such an unbridled state and expressing himself in his purest form. Totally happy, completely being himself, and passionately present in that moment, he was swept away from his daily life into a connection and feeling that was quite special. How lucky I felt to witness his bliss, and was so happy that he enjoyed himself so very much. I had a better night because he was there. Thank you jiggly man, you helped me remember that many of the best times of my life are moments of connection and appreciation for and with others, and I look forward to experiencing something that random and special again soon.